Cut out advertisements and parts you do not like of your DVDs and video files (MPEG and AVI). 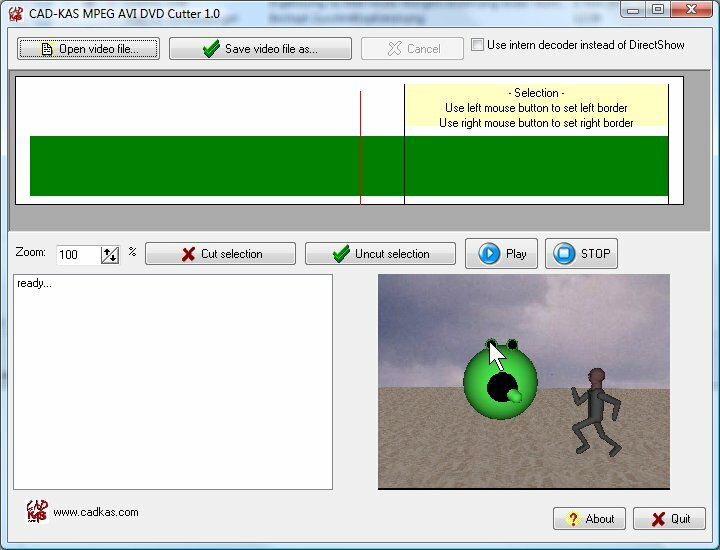 Select a part of the video with the mouse. You will see a preview of the selected frame with every mouse click. Then you click on "Cut selection". You can do this with an unlimited number of parts of the film. Then you can save the result as new mpeg or avi file. You can also use the program to split a video file into two parts so that each part fits on one CD for example. If you first cut off the second part and the first part of the file. 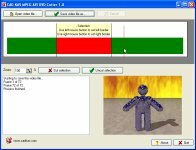 If you want to create DVDs or Video CDs you need AVI 2 DVD & VCD.